A portrait showing nothing below the neck; without a wreath or crown. 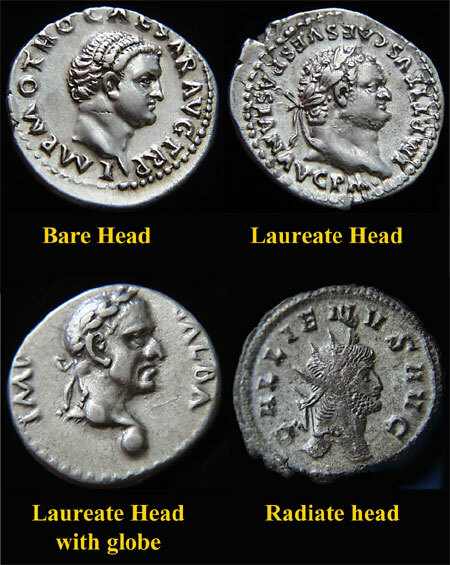 There are different types of "heads" depending of the decorations, attributes and illustrated details. See the image for identifying some main types.